The Pastoral School of the Diocese of Chicago & Mid-America is now accepting applications for the coming fall semester. In addition, scholarship applications are also being accepted for two separate scholarship tracks: Need Based Scholarships and Academic Scholarships. The Pastoral School would like to thank the Fund for Assistance of the Russian Orthodox Church Outside Russia for supporting our scholarship program. This year the Pastoral School is pleased to offer a Catechist Training Program – the first of its kind available in English in the Russian Orthodox Church. His Eminence, Metropolitan Jonah, will lead this program, which was created in response to the call by the Council of Bishops of the Russian Orthodox Church which met in Moscow in February 2013. At this council the bishops called for the training of catechists and the educational institutions to be created to carry out this training. Catechists will be certified to prepare catechumens and sponsors for baptism, as well those seeking to be wed in the Church. This year the Pastoral School is also pleased to offer a loan program to its students to assist them in completing their studies in as timely a manner as possible. It is hoped that this program will make financial issues less of a hindrance to Pastoral School students in their studies preparing them to serve the Holy Church. PLEASE NOTE! There are deadlines associated with applications for admission and scholarships. Deadline for admission is September 1. Deadline for scholarships is August 15. 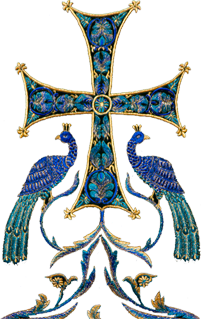 ISOCM symposium: "Orthodox Liturgical Music: Finding Beauty and Prayer in the English-Speaking World"